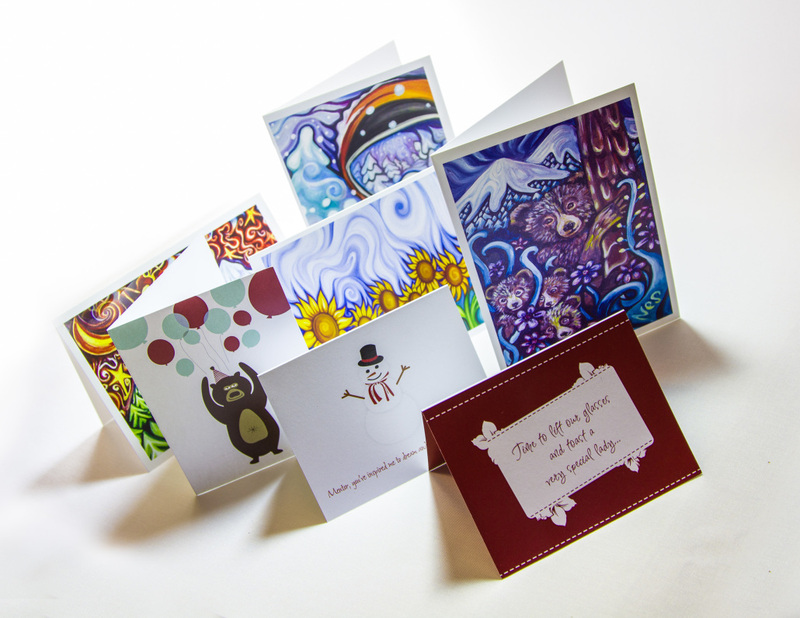 Express yourself using your own customized design or ideas by using our greeting card design and print services all year round, whether it be for holidays or for any other special occasion. This service is exceptionally good for those applications where names or addresses of the recipients change from card to card. Using our Variable Data Printing technology makes this process executable in mere seconds, often at no additional cost to you. 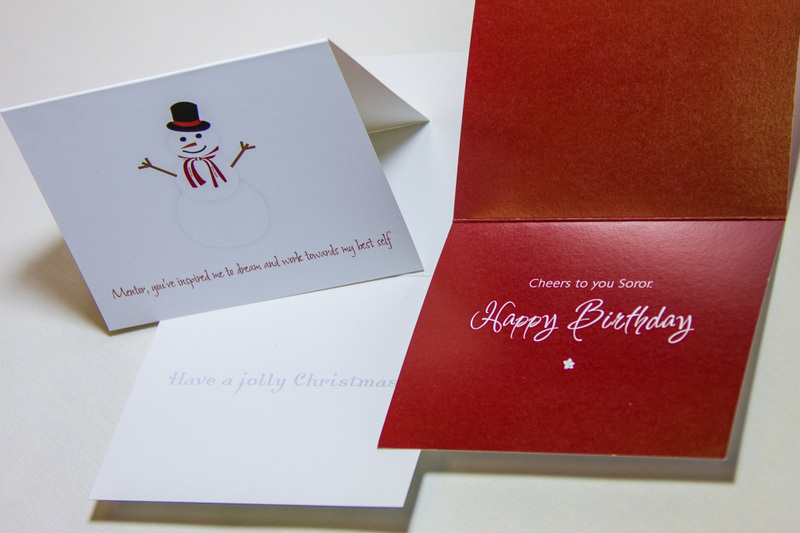 We guarantee that you will be happy with our digital output on specialty greeting card stocks. Looking for custom notepad printing? Select from any of the formats listed to download a blank & print ready template for our greeting cards.